You really have to see the COOLPIX S01 to believe it. Exquisitely compact, remarkably stylish, it will turn heads and start conversations every time you use it. But the COOLPIX S01 isn't just about looks—it's a feature-rich COOLPIX camera that captures equally exquisite photos and HD videos with minimal effort. Get it for yourself and enjoy a perfect balance of form and function, or give it as a gift and watch your recipient marvel at its uniqueness. Imagine an easy to use camera that takes brilliant photos and HD movies and fits your pocket as well as it fits your lifestyle. You'll grab the COOLPIX S01 every time you go out, and you'll create more memories than ever before. Just slip it in your pocket or purse and hit the road. When the moment strikes, pull it out, catch the action and then show it off, (along with the beautiful photos or videos you just shot). You'll love the COOLPIX S01's simple touchscreen interface, which makes it easy to swipe through your photos, watch your videos, adjust the camera settings, and add creative effects. In no time at all, you'll be taking photos, shooting videos, adding creative effects and more. Spend more time enjoying the moment and less time worrying about camera settings. The COOLPIX S01 detects what you're shooting and automatically selects the best mode for you—Portrait, Landscape, Night Portrait, Night Landscape, Close-up or Backlighting. Your shots will look great—and you can take all the credit. When a special moment happens, your camera should be ready. 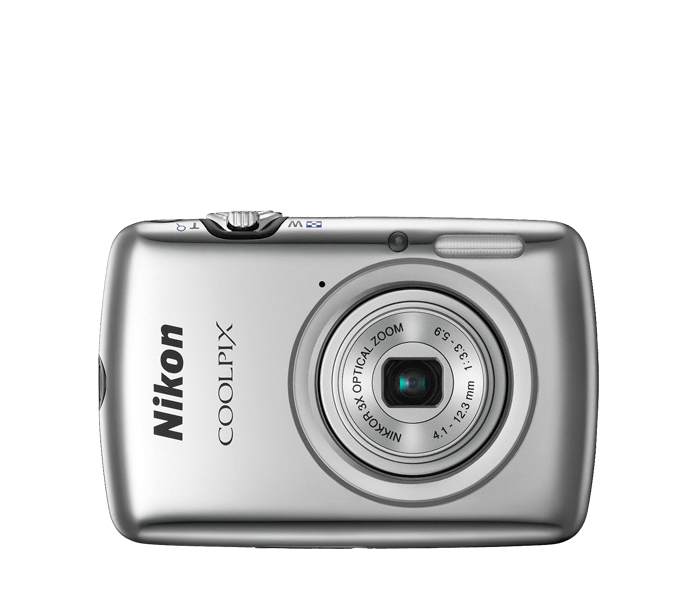 The COOLPIX S01 quickly turns on, autofocuses and fires. With a touch of the screen, you can start recording HD (720p) videos with sound. You'll never be stuck fussing with your camera while the action passes you by.